Based on the true story of uber lobbyist Jack Abramoff, Casino Jack is an eye-popping look at the money that greases the gears in Washington DC. Both those who give and those who receive are exposed in the startling tale of money, influence and blatant vote-buying. It's the 1990s, and Abramoff (Kevin Spacey) buys and sells influence in Congress. By raising cash conceivably for election and re-election campaigns, Abramoff and his partner Michael Scanlon (Barry Pepper) can push for any cause willing to pay the right price. With close ties to influential Republican Tom DeLay (Spencer Garrett) and the Bush family, Abramoff can pick up the phone and swing votes in the desired direction. Despite the protestations of his wife Pam (Kelly Preston), Abramoff is always blurring the line between personal self-interest and clients' pet projects. Not satisfied with arguing for slave labour practices in the Mariana Islands and cashing large cheques from several Indian tribes to protect their casino interests, he embarks on an ill-advised adventure of his own to invest in an ailing Miami-based cruise ship casino business with the unsavoury Adam Kidan (Jon Lovitz). Soon personal threats are escalating into a gangland-style hit. Meanwhile, Scanlon's persistent womanizing turns his fiancée Emily (Rachelle Lefevre) against him. Eventually Abramoff faces the frigid shoulder of a Washington DC abandoning him and his toxic dealings. Casino Jack paints an ugly picture of a political system with a veneer of respectability rotting at the core. Abramoff the individual is almost irrelevant. A lot more depressing is a structure that allows the Abramoffs of the world to thrive by channeling money to the right jacket pockets and requesting key votes in return. 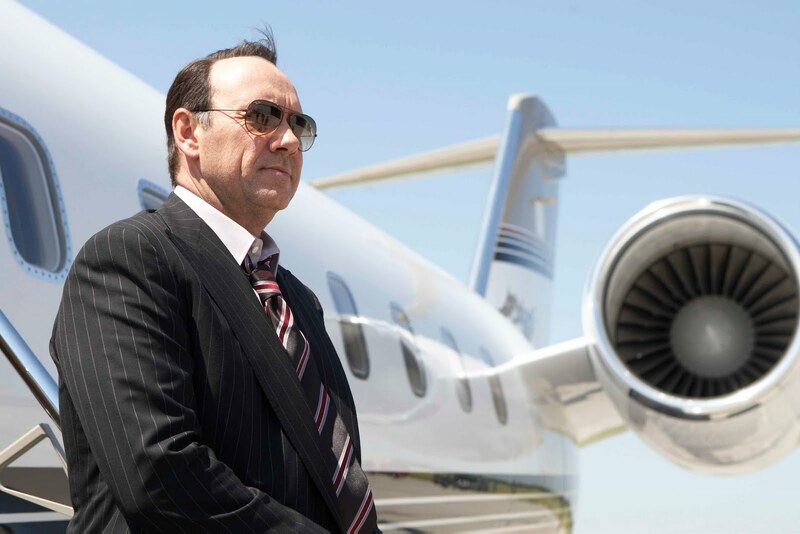 Kevin Spacey dominates Casino Jack with a performance filled with slick bravado. 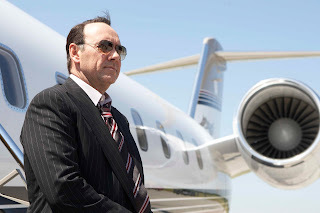 Oozing an attitude of superiority and unbridled greed, Spacey gives Abramoff an insatiable urge to chase after ever increasing dollars to fund self-aggrandizing projects. Restaurants and schools become pet businesses, Abramoff eager to see his name in print as a respectable businessman, perhaps to cover the sordid truth about his distasteful real lobbying career. Jon Lovitz delivers his usual slippery persona as the way-over-the-edge-of-corruption and equally way-past-caring Adam Kidan, adding the certainty of a bad ending and comedy in equal parts to Abramoff's adventure.The rest of the supporting cast is distinctly low key. George Hickenlooper directs with enough panache to elevate Casino Jack above a cable television production, but sometimes it's a struggle. 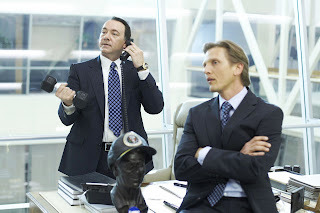 It's not easy to create a compelling cinematic experience out of men in suits seeking the next stuffed envelope, but Hickenlooper leans heavily on Spacey to humanize Abramoff and drag the movie through the bumpy parts. Although Abramoff the man is beyond ever being likable, the Norman Snider script keeps him engaging in the way a large trapped insect can be highly watchable just before it gets squished. Casino Jack is what happens when a lobbyist firmly shakes hands with corruption. His grim destiny is surely just the prelude for the doomed collapse of the system that spawned him.